This training module teaches you the basics of wine tasting and appreciation in a very hands-on, practical way. 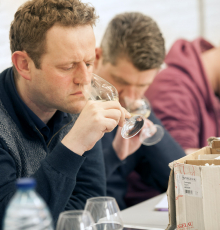 The course focuses on the senses needed for tasting en gives you the tools to enhance your wine knowledge. The study of important varietals, wine making processes and regional influences will give you the base to form a sound opinion on a wine. All courses will be illustrated by the tasting of representative wines.